Archaeology of Play: The Re-Discovery of Platonic-Aristotelian Tripartivism in Interdisciplinary Discourses proposes that play's antithesis is not seriousness but rather one-dimensionality. This book argues that the rediscovery of Platonic-Aristotelian tripartivism lends to a more expansive appreciation of play in terms of three rhetorical registers?namely, skholé, agon, and paidia. Scholastic play resides in leisure and contemplation. Agonistics is realmed in competition, contests, and power-play, while paidiatics is expressed in lowly ruses, trickeries, recreation, and amusement of the low-bred and the subaltern. 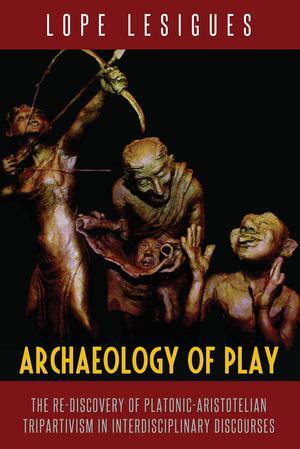 By subjecting play to the tripartite lens, Archaeology of Play highlights vital surpluses and lacunae in the treatment of the subject matter and therefore yields a refreshing, re-politicized understanding of play dynamics in the different fields of human endeavor. Furthermore, Bourdieu's and Rancière's lusory discourses redeem play from the pitfalls of triadic over-schematization by thinking beyond tripartivism. The lively interlocution with other play theorists?Pieper, Kant, Schiller, Marcuse, Gadamer, Veblen, Arendt, Lyotard, Derrida, Foucault, Bakhtin, de Certeau, among others?adds substance to the mix where play becomes a critical resource for politics, aesthetics, and the democratic reordering of sociality.